The submission of inaccurate information resulted in a delay in the payment of October salaries for the employees of seven Ministry of Public Security agencies but by the end of the workday yesterday the problem had been rectified and monies were said to be available. “The Ministry of Finance says salaries for the Joint Services and other agencies under the Ministry of Public Security are payable” a press release from the Department of Public Information (DPI) late yesterday afternoon said. Stabroek News was unable to verify whether all those who were affected were able to access their salaries. The affected agencies were the Guyana Forensic Laboratory, the Guyana Prison Service, the Guyana Fire Service, the National Anti-Narcotics Agency, the Juvenile Holding Centre, Police Complaints Authority and Customs Anti-Narcotic Unit. The Ministry of Finance also corrected the contents of a Ministry of Public Security circular dated October 22, sent to the heads of the agencies, in which it was stated that “insufficient funds” had caused a delay in the payment of salaries. A copy of the document which was signed by a “S.Mayers” on behalf of the Permanent Secretary, Daneilla Mc Calmon was shared on social media throughout the day and stories were carried by several online news entities. “I…wish to regrettably inform you that there is a delay in the payment of salaries for the month of October, 2018 due to insufficient funds as a result of new appointments,” the circular said while giving assurances that the Finance Ministry was working “to ensure salaries are paid at the earliest possible time.” This newspaper was told that the official pay date was October 22. 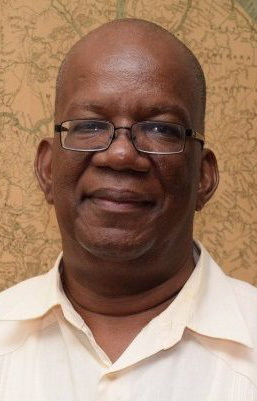 Shortly after the matter was turned into a news item, Finance Minister Winston Jordan via DPI issued a response in which he sought to clarify what caused the delay. In a statement to DPI, Jordan said the Ministry of Public Security’s payroll was released from his Ministry on October 18 and further explained that a request for 6141 and Virements was received the following day, with insufficient information. “A request for additional information was satisfied after 17:00 hrs. and a letter for Budget approval sent to the Director of Budget on Monday, October 22. Approval was granted, and the funds released the same day,” the release said. The Minister told DPI that staff worked into the night to correct the detected errors and that the staff of the Ministry of Public Security were unable to assist in the process with necessary explanations despite being provided with tables and demonstrations from the technical staff of the Ministry of Finance, for hours. “The result therefore was the inability to process the Ministry of Public Security’s payroll to date”, the minister told DPI before assuring that the processing of the payroll would continue throughout the day with staff of the Ministry of Finance working with those of the Ministry of Public Security to rectify all errors, so as to ensure salaries are paid. At 4:31pm, DPI sent out another release indicating that the issue had since been rectified and that salaries were available to all of the agencies. The situation caused anxiety and bewilderment among the workers. One employee was close to tears yesterday as she said that she was in desperate need of cash to register her son to sit next year’s CSEC exams and to pay for the subjects he intended to write. The woman was in panic mode as she had to pay the required sum before the end of the day. She explained to Stabroek News that she only became aware that there was a problem after reading a story online. “Nobody didn’t tell us nothing. Is the news we see and know that something wrong,” the distressed woman said. Like her, several other affected workers said that out of courtesy their “bosses” could have said something to them particularly since they have financial commitments which are time sensitive. “I hope de school gon see with meh”, she said. The persons this newspaper engaged said that even though the issue was in the news and on social media, they were still to hear something official. No information was available as to when they would receive their salaries, they said.